Pepsi executives hoped charismatic actor Cuba Gooding Jr. would create excitement for Pepsi One when they signed him to promote the low-calorie soft drink. But for many TV viewers, his enthusiasm isn’t enough to make them like Pepsi’s commercials. Almost half of 1,005 consumers queried for USA TODAY’s Ad Track poll had seen the commercials but only 18% said they liked them “a lot.” That’s slightly lower than the Ad Track average for all campaigns that have been measured since mid-1995. Gooding won an Oscar for his supporting role as running back Rod Tidwell in Jerry Maguire. Greg Prince of Beverage World likes Gooding as a spokesman because the actor gets viewers’ attention but doesn’t outshine the ad’s message. The rollout of Pepsi One, made with a new artificial sweetener known as ace K, is the splashiest launch of a soft drink in years. Pepsi is expected to spend more than $100 million marketing its one-calorie beverage, which is supposed to taste more like sugared sodas than most diet drinks. Pepsi advertising chief Dawn Hudson says Pepsi One was designed to appeal to people who are interested in fewer calories but who don’t drink diet sodas regularly. That means young people and men. Hudson says she’s not surprised that the Pepsi One commercials, created by longtime Pepsi ad shop BBDO, didn’t get higher scores for likability. Creating likable commercials wasn’t the primary goal. The objective was to make people aware of the product, she says. 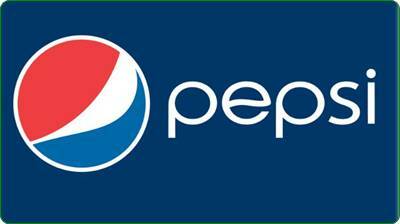 According to the company’s research, four of five people are aware of Pepsi One. Half of those people say they’ve seen the advertising. John Sicher of Beverage Digest says Pepsi One claimed a 2.9% share of carbonated soft-drink sales in some major merchandising channels – including supermarkets and drugstore chains – a month after its October launch. Diet Pepsi had 4.8% and Diet Coke, 7.3%. “We don’t know where this brand is going to settle out, but given the fact that it’s in its initial trial period, that’s a very positive initial result,” he says.